Imagine a sophisticated dining room with rich and intimate decor, a renowned wine collection, and a satisfyingly delicious menu – welcome to Steakhouse 55. You’ll be surrounded by classic snapshots of Walt Disney and famed colleagues in the heyday of “old Hollywood”; an atmosphere sure to spark nostalgia in the heart of any Disney fan. Open for breakfast and dinner, Steakhouse 55 is tucked into the Disneyland Hotel and even offers a beautiful lounge for guests wishing to visit for a snack & cocktail, or to enjoy while waiting for a table. 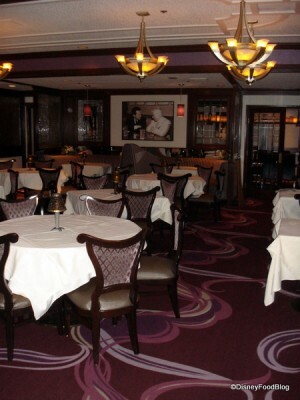 The private Oak Room inside Steakhouse 55 may be reserved for private parties.